I belonged here years ago, forgot info. Have been keeping fish over 50 years. I would not call myself an expert though. My beloved Oranda has passed away. He was estimated by the vet to be over 30 years old. I loved him so much he resided in a 120 gallon by himself. His cancer was so bad the vet could not fix it. I picked Two new ones. I was just wondering which you folks like better? The reason being the black one is more desirable but I kind of prefer the Red/White one. Mainly I was wondering which you think is a better specimen. The black does not have much Wen and not a deep belly but they still tend to be more sought after I guess. Either one is slightly over 1 year old and about 5-5.5". These are not very expensive by their standards. I only want one to live alone in the 120g. I am asking because I am distraught and would like affirmation. I appreciate your advice. Any reason why you want only one? Why not get 2 so they cab have a buddy - and you don't have to decide - as they social fish. Strange you cannot see the pictures. Using edge/explorer or something else? Oh it is your phone. Can you try to get to pc/mac? I have all kinds of problems with the s9. Like no cell service here lol. They can live alone or together. Yes, a 120g can certainly support 2. I ultimately decided to take crazy care of them just one. Since one gets a disease both get it. Good water and they will almost never get any disease by themselves. Plus there is get along and all of that. I have about 40 fish salt/fresh but I just adore orandas. I really like pleckos but orandas are my favorite. of course I do not keep pleckos with goldfish lol. I wish you could see the pics. see, I do not live in the city but on a farm about 160 miles from downtown. in the middle of nowhere. so these fish are 200 miles apart for me. neither will ship. So for now only getting one anyways. The internet is too expensive with shipping and stores far away here. these are not great specimens but I do not care not showing/breeding them. as far as these go they are like for nothing. I can spend more but not like dandy prices. I have some expensive fish but people gave them away. This 120g is a crazy setup. yeah it can support 2 but like 500 miles of driving and I just feel best about 1. I know most people would not do this. I do wonder if a better specimen is likely to have more longevity. I was just lucky I guess. I could get a show quality one but shipping 5g water plus the fish is a lot. Isn't there a lovely aquarium/museum in Melbourne? Or I am thinking of Sydney? 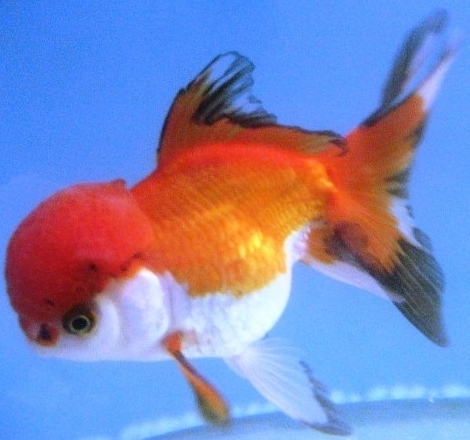 Seeing as how those images are old (and stolen) images from Google and you're trying to act like you have access to these actual fish and know about them... and also how not even the most hardy Oranda could live anywhere NEAR 30 years, I don't know what your motives are here. What I DO know is that answering this thread... totally pointless. In addition, I am not sure how you are seeing a BLACK fish in the second photo. He's not black. He's bronze, gray, brownish etc. He isn't a BLACK Oranda. This little boy that I lost over the winter is a BLACK Oranda. one picture is from fishplanet in il. the black one is from petsmart in Kenosha wi. both currently available. I do not know where you got that they are stolen google pics. I did crop the pictures. the one petsmart that do not know much called "black" is indeed bronze, brown,copper whatever not black. the vet said she estimated that fish was 30 years old. of course she could be incorrect. I brought him to hopefully have the cancer removed but she said it had infiltrated his body. yours was indeed black. I get the 30 years old but I assure you the pictures are legit. it is not like we are talking about any expensive fish. I just was wondering if you picked one, which. that's all. I am not sure I only want one and think they are both nice. FYI, this should prove what you refute. Actually I think I like the red and white better. Never mind. Sorry I wasted everyone's time. I have little use for fish forums so you do not have to worry that I am some troll. Well there. I like both of them. The first one with the black on it I think will not have black on it long. 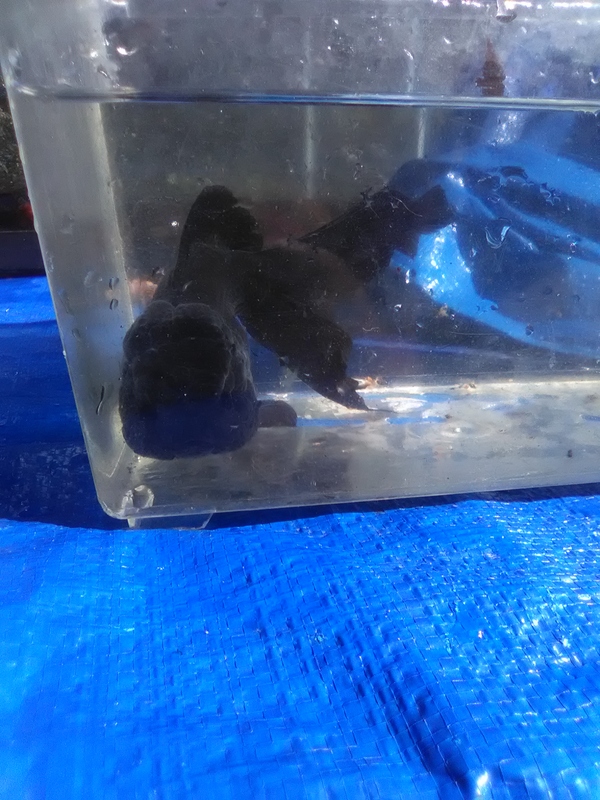 Most fish with the black like that either have ammonia burn or it just fades off of them. Black on the edges of fish are hard to keep that way. I was going to suggest both to double the love. lol. Each in it's own 120g tank. Anyways, the red/white is pretty - good luck if you do decide with that one. I hope that you do stay, I'm sure I can learn lots from you. Okay. I don't say much but I would try to help with anything unusual. I was here like 10-12 years ago had like 400 posts but forgot my username/pass. I am impressed that you(KoKo) thought it was alright in your own forum. I do not know why he got that attitude with me. well everyone is different. Some people don't like I have always been a nerd. I have grown children and grandchildren. I try to go out of my way to take care of anything living. I know a high end 120g setup for one goldfish seems nuts but maybe he really did live so long. I mean I alone had him like 17 years. The vet is not stupid but dating goldfish is difficult at best. I have no idea why he thought I stole someone's pics. Each of the stores emailed me those like I said 200 mile trip to either. I am not sure KoKo. You are correct and I did not even think of that. 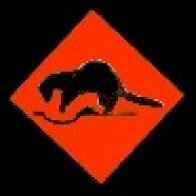 You know how an old Moor turns orangish. That fish is not going to stay copper like that. I did not even think of that. I am guessing you like that one because it is obviously a better specimen. I would still love it but prefer I get what I see lol. maybe I can find a better one somewhere I can drive. The issue with online is not so much the fish even though a good one is 5x what these are. 5g water, especially overseas with a live animal package is more than the fish afaik. 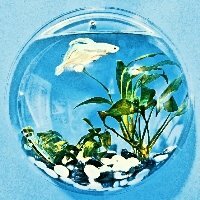 I like to have one fish that is very important to me and usually an oranda. I have 5 discus in a 200g. Keeping my oranda is like the opposite of overcrowding. I do feel if you are very careful and lucky they do often live 15 years or so. 30 I am not sure about but it is not like I lied for her. I could get one from say Foster Smith LiveAquaria but don't see much point. I would be willing to get a good one if someone can tell me anywhere to my door about 2.5 bills. I am pretty sure you are usually looking at 5 bills on those sites. Too much. There were 3 great stores in IL. closed years ago. Well fishplanet usually does have good stuff but his distributer is out now. Maybe just wait a couple months. Since you just pay the fish not the shipping. I am glad I am welcome here. I figured everyone was just going to run me out of here. I do not think I did anything wrong. I figured a fish forum people are pretty chill. Not like a car forum or something. If I see anything here I can help with I will do that. I guess it is funny I rejoined with my big question! Seriously I do not have to get one Tomorrow. Being only 2 to choose from. I do like the first one though. Would love a Panda but could wait forever or $$$. I am female. I am not "he". I was asked by Koko to refrain from further expanding on my comments or explaining them which I was going to do.... But I will respect her and remove myself from this thread. I apologize for referring to everyone as "HE". I did not even realize I did that. I will admit in that sense I am a typical male. There is no excuse for it. As for your feelings I do not understand but I suppose you can no longer elaborate. If those are indeed old pictures on google I swear I did not grab them. That is what I was given. I fathom it is possible they both pulled that stunt. Unlikely but possible. If that were the case and I drove 200 miles I would not be happy. I am not a bad man really. I am not even that much of a male pig. I take it you don't like me but I did not mean to offend you. I have nothing to do with those pictures. I mean for referring to everyone on the internet as "HE". My apologies in that regard. Glad you managed to find one you like! Feel free to update us with pics once you get them! I feel like i can speak for everyone, but at Kokos we enjoy pics! You know, this was actually stupid of me. I got excited because we live in the middle of nowhere. I need to scrub that aquarium and get the salt out of it I used to try to save him. Yes, he was a "him" in fact. Then be up to a long ride. I am a senior. So if I do not get around to this for a week I am saying those two may very well be sold. Here is the lucky part. Fishplanet's distributer is restocked from Asia. Some of them are show quality but maybe I can't afford those. So he said for now he will regularly have Orandas from $30 to $500. Big range. I know all about what makes a specimen more expensive but something in between. If it is not okay to say prices here I was not really saying the price of anything in particular. Hope you don't mind KoKo. There is a store with the same supplier and less money because bigger store but way too far. I do not speed so this is more than an entire day. I know how to pack them and everything. I thought since I am emptying it in this case with one fish to pour their water in. The many bio balls and sponges will bring it up fast. I do need to wait 72 hours after I clean it. So like I said in a week those may be gone anyways. I did like the copper one but it will turn orange. I hope to get a nicer one though. With no shipping involved I can afford like two bills. This and the one too far are high end stores. No worry about disease or anything. PetSmart maybe not a good idea. Spend more on meds than the fish lol. I will put pictures. The aquarium is bare. No substrate or decoration. Just plumbing. I am crazy about them so maybe it was 30 years old. There is a 30 gallon sump, big Eheim pro, big emperor, protein skimmer, 60 watts UV, Two cyclic air pumps from Danner, 1HP chiller, 5KVA backup, RGB LED and halide pendant but no plants. Amazingly there is not too much agitation. I am not bragging just kind of saying their welfare is important to me. tbh, I do not take that good care of many others but certainly not neglecting them. I don't know why but the oranda is very important to me. Therefore I think it is in my best interest to get a good one. I liked those but you can see neither were great specimens. However if the red/white is not sold as cheap as it is maybe I will still take it. They do get expensive but I was wondering why orandas are not the most coveted goldfish? Like a really good shubunkin could be much more valuable. Still does not matter the oranda is important to me. I don't even know why. I guess years ago I thought a telescope was cool but the wen was what really impressed me. Well I like hats go figure. If you want sick fish, buy from an importer that advertises on line. You have a better chance of a healthy fish if you get one that looks healthy at Petsmart, Petco, or even Walmart. These are imports too, but they come from farms that the stores have screened. You want to get one that hasn't been in the store long, since pet stores may not take good care of their fish. If you find the welfare of the fish important, you shouldn't consider putting a goldfish --a very social fish-- in solitary confinement, no matter how large the tank. 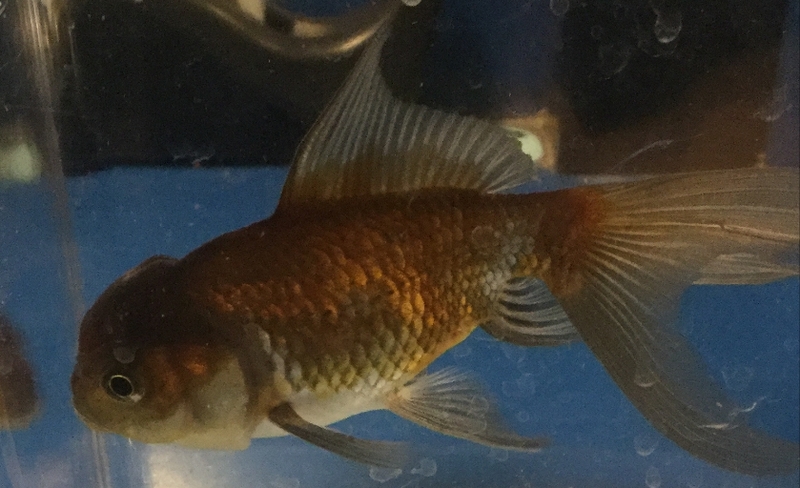 I gave up on goldfish for a number of years when I received a shipment of some goldfish from a farm in China. These were handpicked by our local forum member that decided to learn the trade from his uncle that owned the goldfish farm. Nice fish, unique colours/strains but they all died within 6 months. Just something I wasn't able to fight. When I learned about domestically raised goldfish, that's when I placed my first order with East Coast Ranchu in New Jersey. I've heard of good things about Raingarden based in Honolulu too. I've placed 2 orders with ECR and I've been very happy with my ranchus and oranda. I don't know if I can post their links, but if shipping airport to airport isn't a problem for you, that might be an option. ECR sells pet grade to show quality fish, you can view their fish via pics or livestream. Neat way of buying fish. 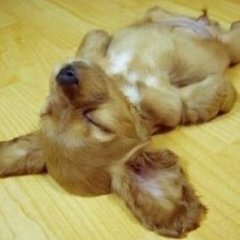 Yes you can post a link to ECR. Cynthia is a great seller and breeder. If you know the email to that account email me the email and we can see if we can activate it again. Wow. I had no idea about this, Glad I did come over here. I always thought just the opposite. Like the best goldfish come from China. I had no clue to this. I thought petsmart was sure to die. Did I have this backwards. I feel like an idiot because I have had fish over 50 years. I am truly shocked. Now that I think about it imports did have more incident of disease than petsmart. Well I certainly don't know as much as I thought. There used to be an etailer goldfish connection had good fish he raised. Out of business like 20 years ago. I just have a question please. Is Dandy or Blackwater good? I mean look at the prices. Also the high end fish store he has domestic and Asia. Suppose I would want the domestic. He is honest at least. Plus they are handled well. I am such a sucker I thought if I pay a lot it is healthier. This is no problem then. Since there is a petsmart about 30 miles. She said she will order anything I want can pick similar from pictures and pick up after 3 days quarantine. I guess they are good if they check them. Yes Goldfish Connection went out of business and into something different. Dandy is good too, he took over Goldfishconnections auctions years ago Never ordered form Blackwater. 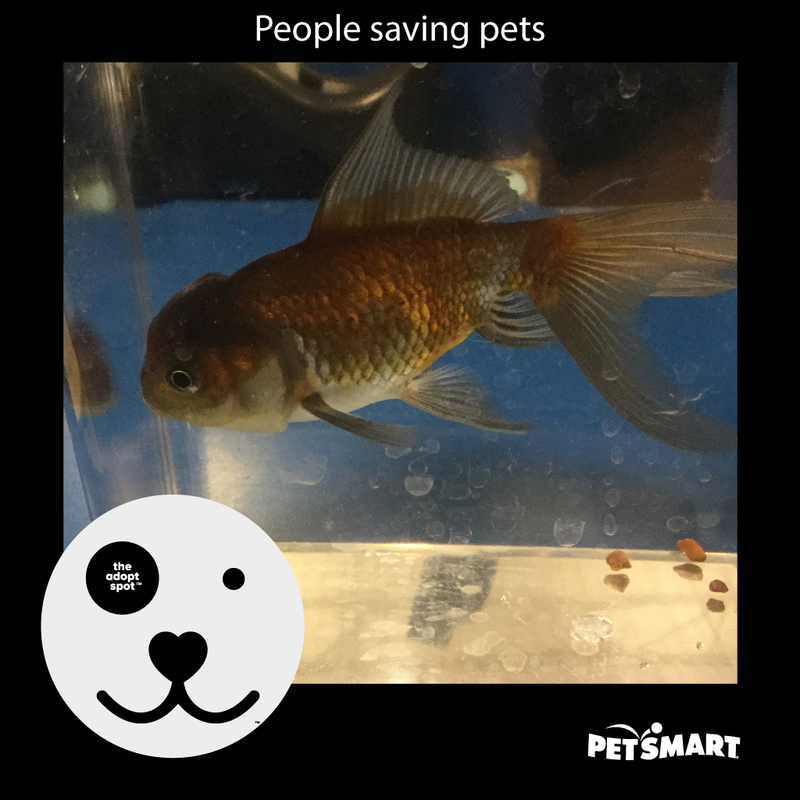 But I have had many fish from Petsmart and they lived a long time and a healthy life. I always ask them when they are going to get there shipment and try to either get them that day or the next. KoKo, it is okay after I started this? You are great. I know almost no one with a big forum that posts in their own forum. I appreciate you came to this thread from a sort of new member. It was the same name as the one on this account but probably at core.com. I think they are out of business. That is why I could not recover it. I also really appreciate that you did not accuse me of the pictures. I mean what would be the point of that. I already knew everyone here was okay. Try joining a car forum lol. Two goldfish are fine, but one will be lonely. If you buy directly from a breeder, you will find inexpensive domestic fish. The online sellers buy from the domestic breeder then price them to make a nice profit. KoKo, it is okay after I started this? You are great. I know almost no one with a big forum that posts in their own forum. I appreciate you came to this thread from a sort of new member. It was the same name as the one on this account but probably at core.com. Nope no member with that kind of email. I think they are out of business. That is why I could not recover it. I also really appreciate that you did not accuse me of the pictures. I mean what would be the point of that.